Yolanda Aftermath: Suyac Island Then and Now - Choose Philippines. Find. Discover. Share. Remember what happened to Suyac Island after it was hit by typhoon Yolanda on November 8, 2013? Though the island was mostly protected by its surrounding mangroves, it still damaged a few houses and other properties. After years of rehabilitation, ceaseless support and training by the LGU and with the cooperation of the island’s community, it has helped the island to get back into its glorious beauty. If you plan to go to Suyac Island and Carbin Reef, it is a must that you book your trip in advance at the Sagay City tourism office as the islets has a carrying capacity limit. Like for Carbin Reef, it only allows a maximum of 70 persons on the sandbar. And for Suyac, it only has limited cottages. The city enforces a “No Slip, No Entry” Policy to support and strictly implement its aim to have a sustainable and responsible tourism. A fee of Php100 is paid at the tourism office just beside the Museo sang Bata sa Negros at the Old Sagay port. This already cover the port fee, general admission and environmental fee. The port is also the jump off point going to Carbin Reef and Suyac Island. Usually, guests who would like to visit both of Sagay’s gems visit Carbin Reef in the morning then transfer to Suyac during noon time for lunch where they get to enjoy swimming the whole afternoon in the the mangrove eco-park. Suyac Island Mangrove Eco Park is run by the Suyac Island Eco-Tourism Association formed by the island community. It is best that when you book your visit and to have lunch in Suyac you have already ordered your meals. This is to let them prepare your food in advance and to make sure that it’s readily available. You can have different kinds of seaweeds as kinilaw, oysters, different kind of shells or fish for soup, oysters, sea urchins, squid and many more. Always remember, be responsible of your trash. Keep the sandbar and islet garbage-free. Bring your garbage along with you if needed or until you find a proper waste disposal area. For inquiries or bookings, contact the Sagay City Tourism Office at (034) 488-0649, 488-0649 or 435-8571. 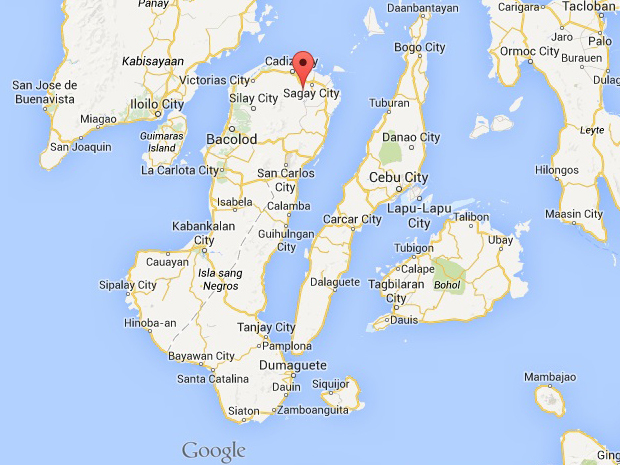 Sagay is at the northernmost tip of Negros Island. It's approximately 82 kilometers northeast of Bacolod City, the provincial capital of the province. From Manila, you can fly to Bacolod (Php3500++, round trip, 45 minutes). From Bacolod-Silay Airport, you can take a shuttle (Php75-100 per head), or a cab and ask to be dropped off at the nearest bus station for Bacolod-Sagay. Or you can also go to Bacolod via ferry (estimated cost of Php2700++ with meal, round trip, 20-22 hours) from Manila. From the port you can hail a cab and ask to be dropped off at the north terminal bus station for Bacolod-Sagay. Going to Sagay City, buses and vans for hire regularly ply the northbound route of the Negros highway. Sagay is approximately a two-hour drive by private car from Bacolod city.